Like most of we Victorians, we have not been impressed by the unseasonably hot days one after another without apparent end. It has made most tasks quite challenging and has got to the point that volunteers and paid staff have often been heading home around lunch time. 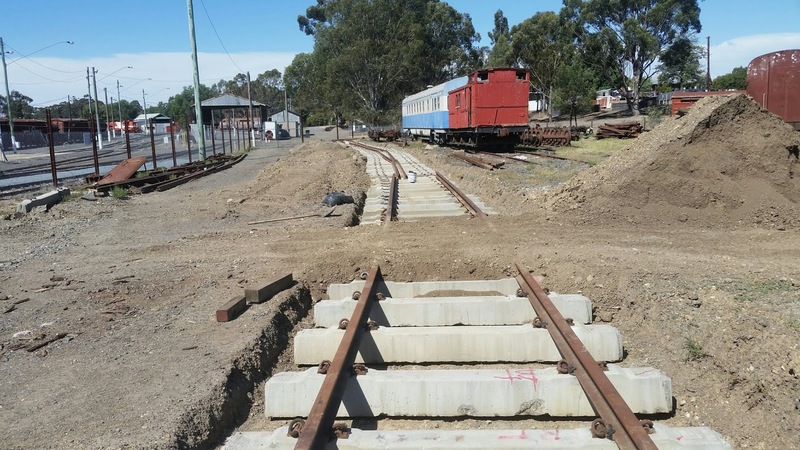 In these circumstances very little track work has been undertaken. 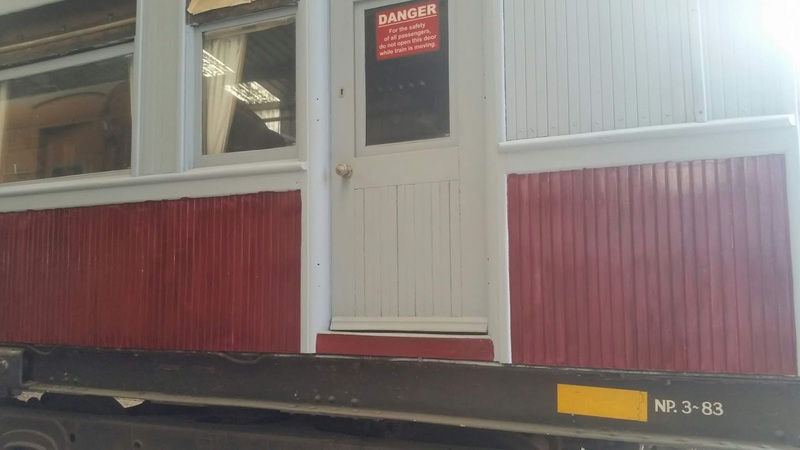 With most activities in the shed, rolling stock has been the focus in the last week or two. We begin in the coolest place we could find. Inside the fire box of J515 is actually a pleasant temperature although no place for the claustrophobic. There are a few souls who don't seem to mind the environment so they were inserted with instructions to remove the grate assembly. 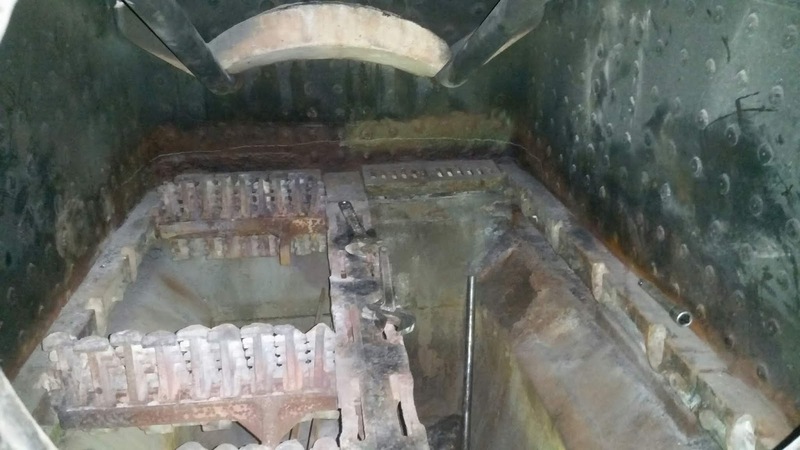 The inner firebox needs some metal work replaced and the grate must come out to provide access. 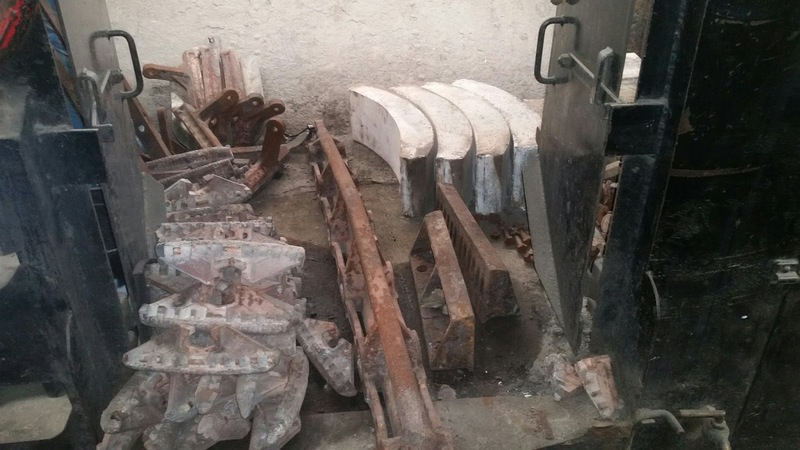 At the start of this particular day, the right hand movable grate segments had been removed by others but on the left much remains to be done. To the front is the kneeling cushion essential to make working in this small space comfortable. Once the grate are out, it is possible to stand in the ashpan and work fairly comfortably. 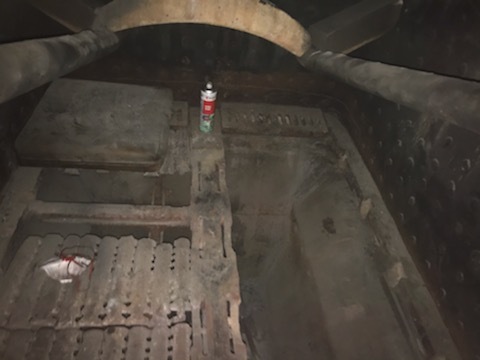 A little while later, looking through the fire hole we see the grate segments have been partially removed from the left side. Now actually inside, a couple of timber planks provide a floor to work from. We are looking at the front right hand corner. The chalk line represents the area to be replaced. The view as one extracts oneself from the firebox is that of an accumulation of grate parts in the tender. After extracting it is necessary to stand and stretch the muscles and things. While doing so a closer gaze into the tender shows a pile of grate segments to the left, at the rear are the supporting shafts and in the middle the main centre girder. Beside the girder are the two fixed front grate portions and beyond that some of the brick arch bricks. All these pictures were taken on Tuesday 8th January. A day later; outside, the morning was such that some work could be completed. 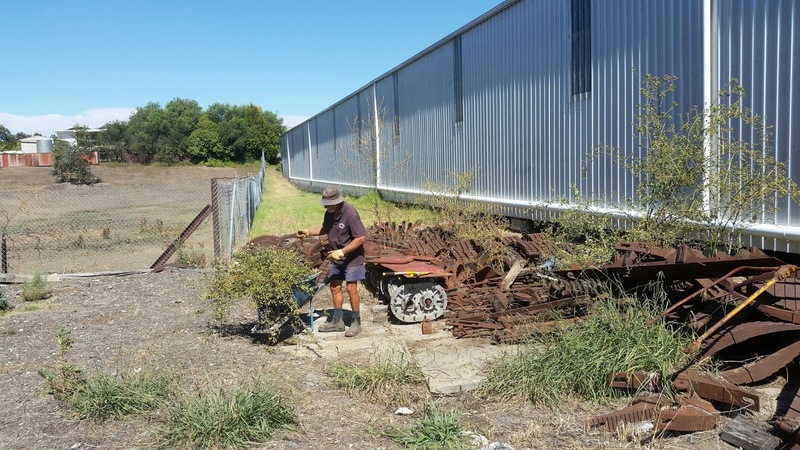 Kevin is cutting down the prickly scrub that has grown up around the heavy parts storage area. 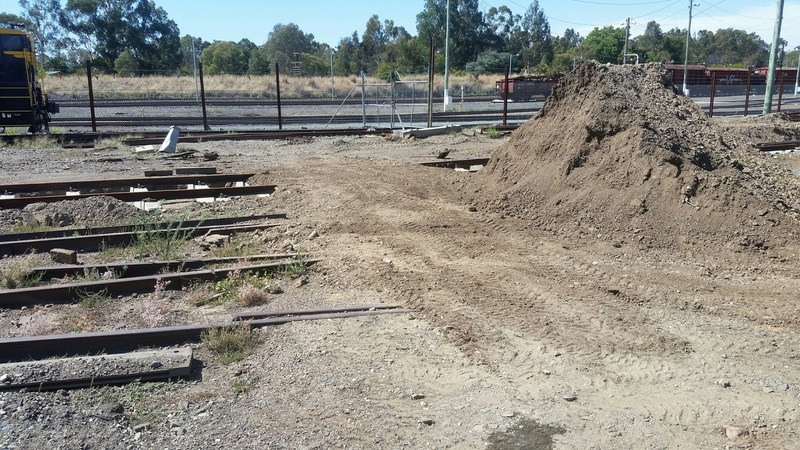 It will take another day to get rid of this horrible stuff before we can get in and start removing the parts to another place so 15 and 16 track can extend into this space. 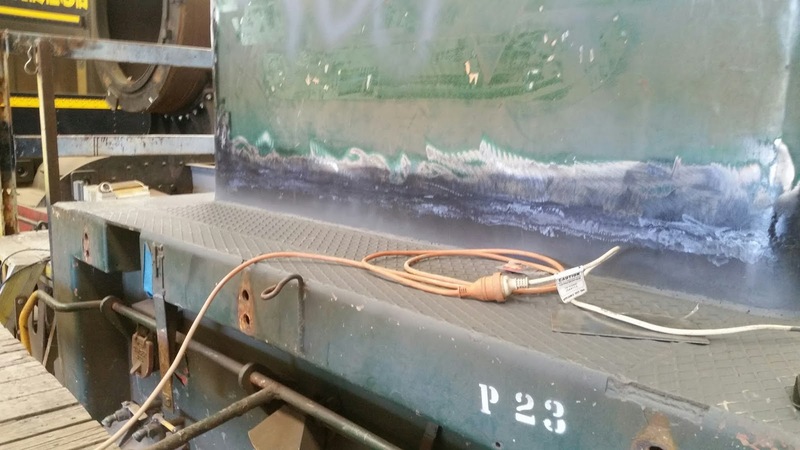 The one thing we have done on the track is the assembly of one panel of 20 track. 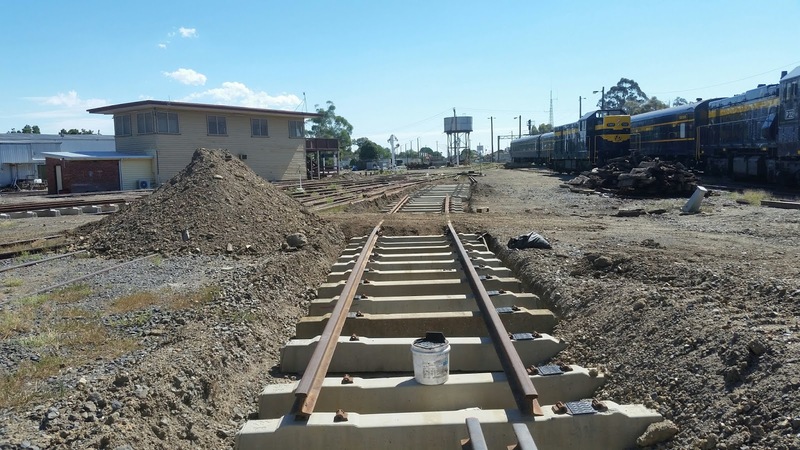 To re-establish the roadway into the rear of 15, 16 and 17 tracks, a section of 20 had to be assembled. This then is the crossing. Having looked both ways along the road, we just have to look each way along the railway. Final view shows that the panel on this side of the crossing has not been assembled. This is mainly due to exhausting current stocks of jewellery. 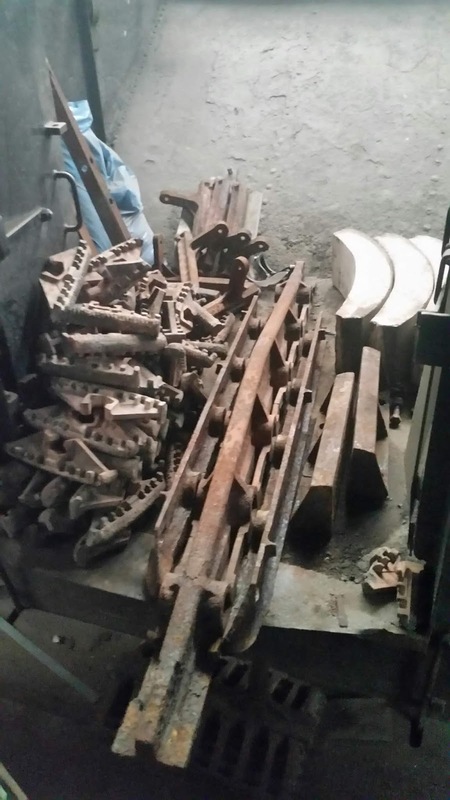 This is the term used to describe the bits and pieces used to secure the rails to sleepers. Although we have pads and spacers (generally called "biscuits') Pandrol E clips stocks are nil. This is being addressed and stocks are expected in the next few days. 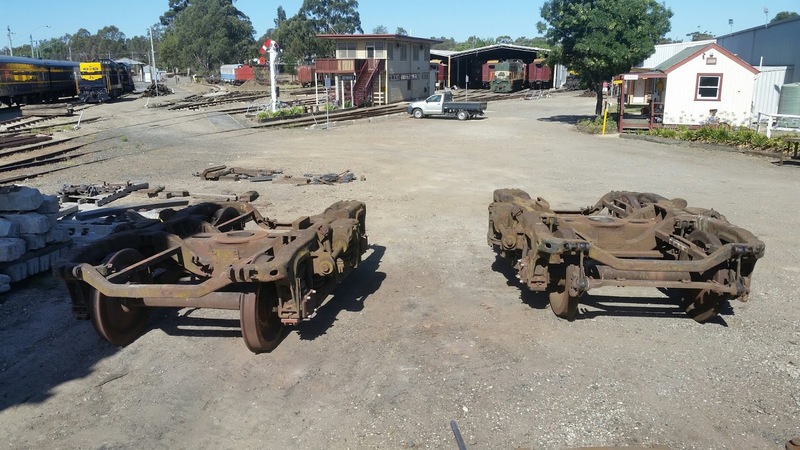 We are currently preparing another set of AS Commonwealth bogies for another carriage to be converted from broad to standard gauge. 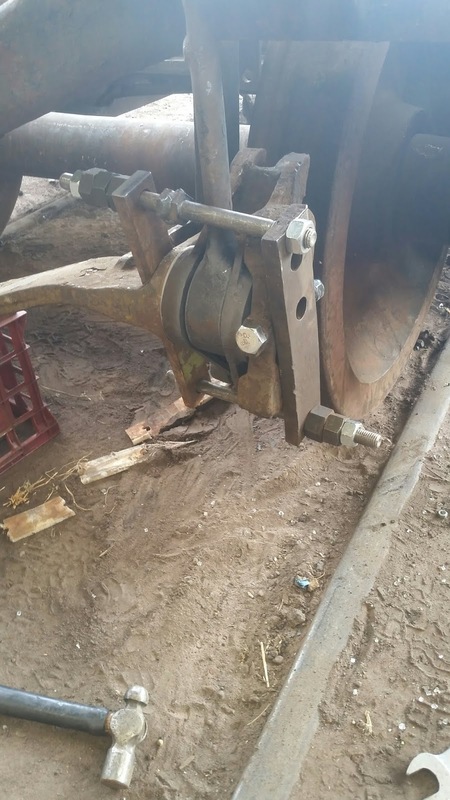 With the big fork lift expected to be away on alternate duties for a month or so it has proved wise to place the bogies on the standard gauge wheel sets before the brake rigging is attended to. The brake rigging is still fitted in this shot and over the following days was dismantled for cleaning, inspection and reassembly. 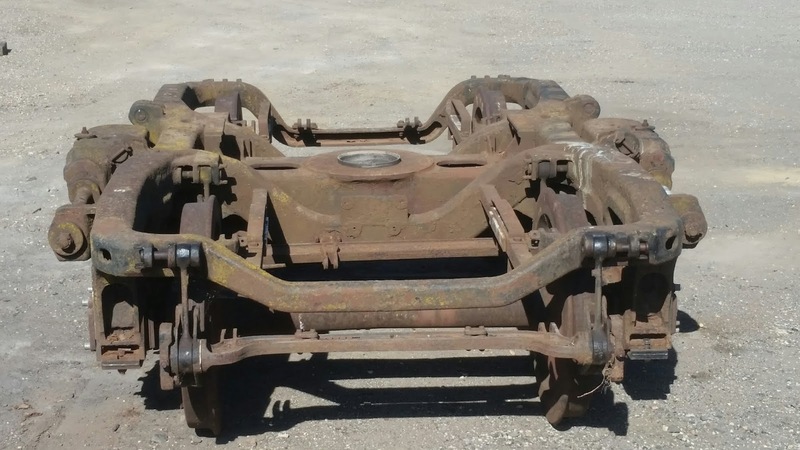 Stepping back a bit and we can now see both bogies. The one on the left has the rigging re moved and behind it the removed parts have been attended to and are ready to be refitted. To beat the heat a little, one bogie has found its way into the shed. The rigging to be refitted is laying around and Brandon is about to get serious with assembly. With Christmas - New year holidays over Robbie is back on deck. After a few days it is now Wednesday 16th and Robbie is attacking the rust in the long end nose of P23. This is one of those areas of Clyde built locos that always gives problems. Water always collects on the inside of the body between the steel skin and the framing. 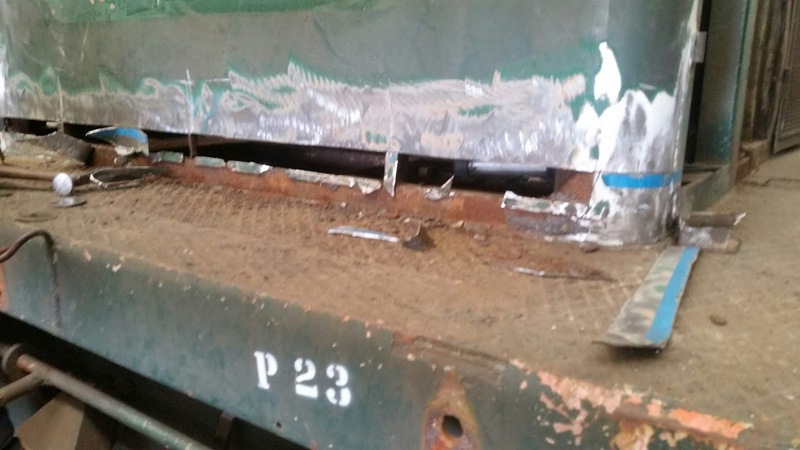 Rust develops and the skin is pushed out into bumps, splits and even holes. 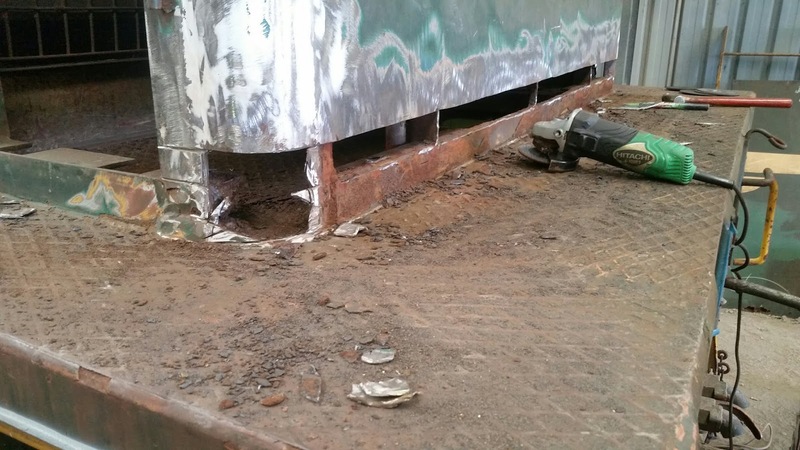 Usually the only solution is removal of the corroded metal, treat what is to remain and rebuild. In the reassembly modern sealants are used to ensure moisture cannot re-enter the gaps. The offending portion is being cut out. As an aide to seeing where to cut, an old body builder's trick in to use masking tape rather that a pencil or chalk line. . 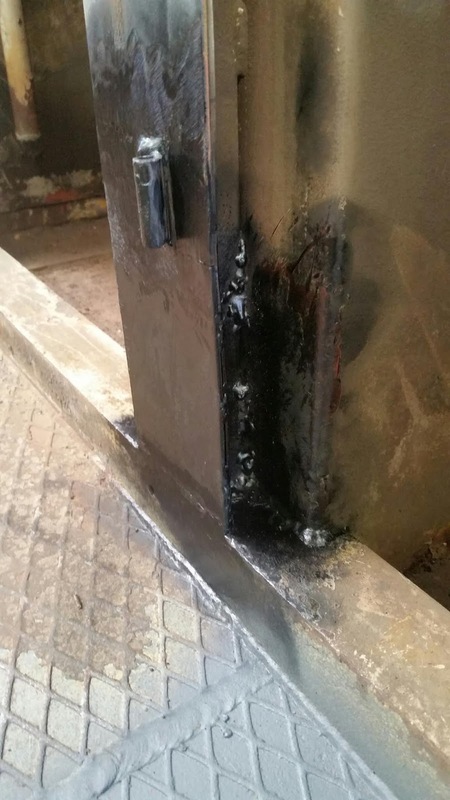 There are lots of short welds on the inside holding the skin to the frame. Robbie has to hack the skin away in pieces and attack some spots with the gas. He has made himself comfortable and is really in his element. A close look shows the shiny bits where the welds are yet to be cut or ground away. At the end of the day the offending skin sheeting is nearly gone. A bit more to do in the curve between the end and side. The last time we captured the "DS" he was supervising Yarra car at Tocumwal. This time David W is trying to convince us he knows how to paint. After completing the last part of one side of State 4 he was telling anyone who would listen about how to lay-off the paint to get the right brush finish. You would think he was an expert! So what do you do with an expert? Well in this case you wait until he has gone home and have a good look for yourself. I can't see anything to complain about except that the grey undercoat can still be seen. To be fair, the previous car we painted with this particular paint had the same concern. Multiple coats were needed to achieve the desired quality of finish. It would seem that the density or amount of pigment in the paint is not as it could be. After this car is finished there will need to be a review of the specification. Now to a different carriage. 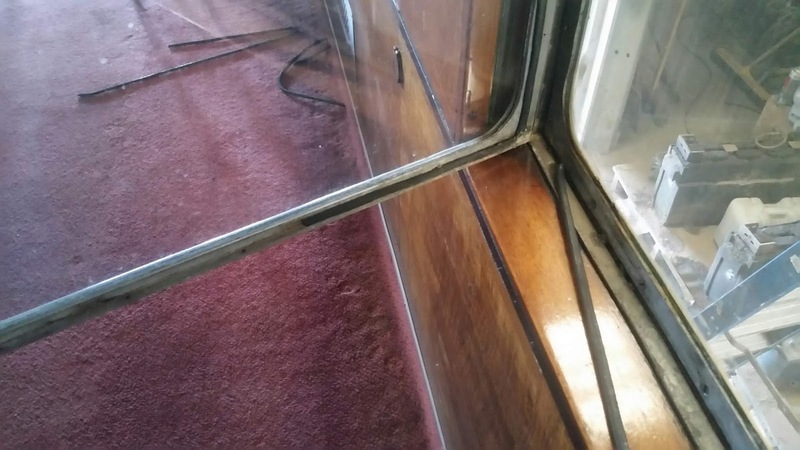 The windows in the saloon of Parlor Car have been crying out for some attention for a while. The double glazed window assemblies have been getting a little dirty between the panes and the rubber sealing material have started to fall away. On top of that a rock thrown at the train some time ago damaged the corner of one of the round end windows. 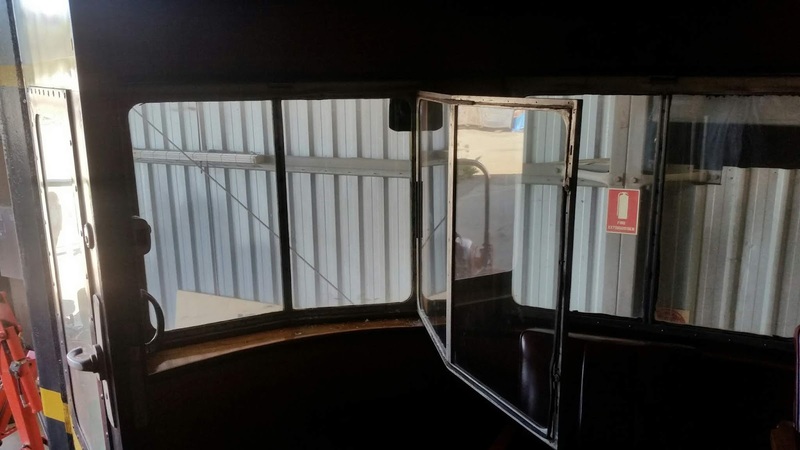 First we started with opening a couple of the plain windows with rubber hanging down. The rubber is a round section that was once glued to the frame of the inner pane. 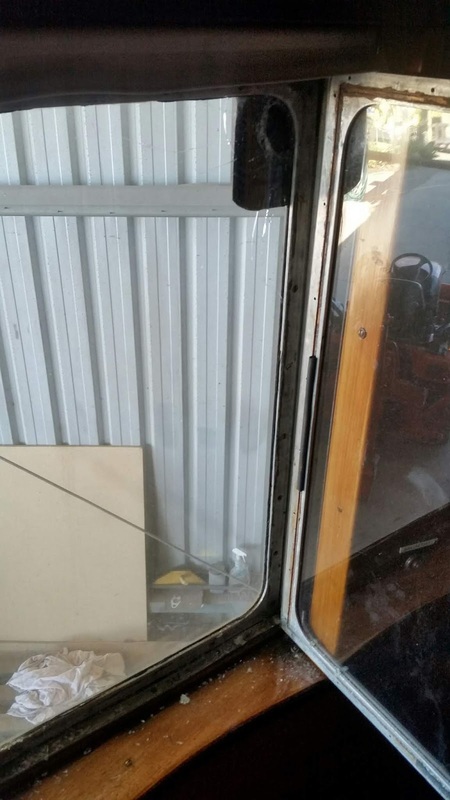 Once the inner pane was opened bits started to fall away. One piece is laying on the window sill and other bits are on the floor. 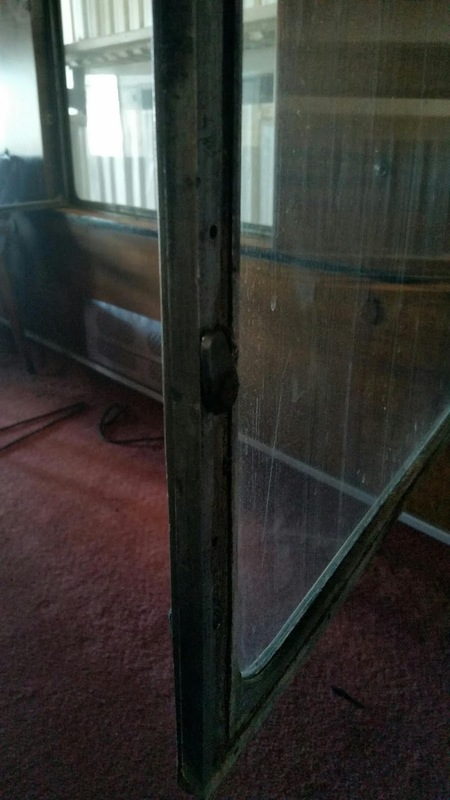 Not the best picture but this is the "flying" or non hinged end of one of the inner panes. The groove for the rubber has been cleaned and the latch that holds the assembly closed is prominent. 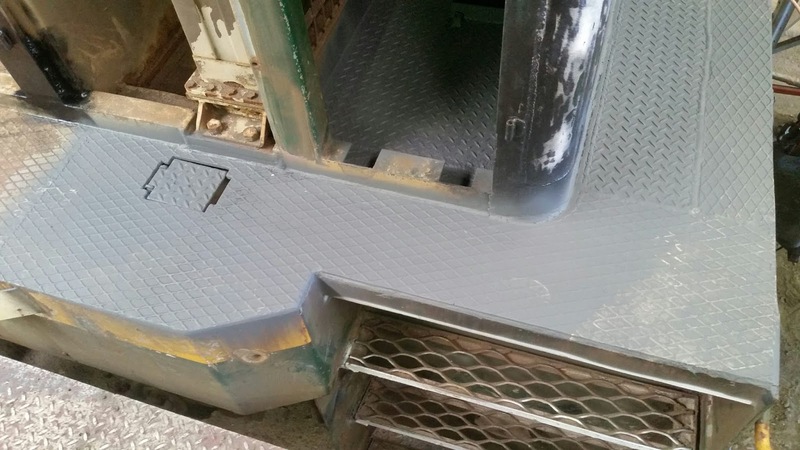 We selected a suitable cross section of self adhesive soft rubber from the store and fitted it place of the former rubber. When the pane was closed it seems to work well. Now for the round end windows. If you thought these windows were curved you would be wrong. They are made from two smaller panes set at angles to match the curve of the body. 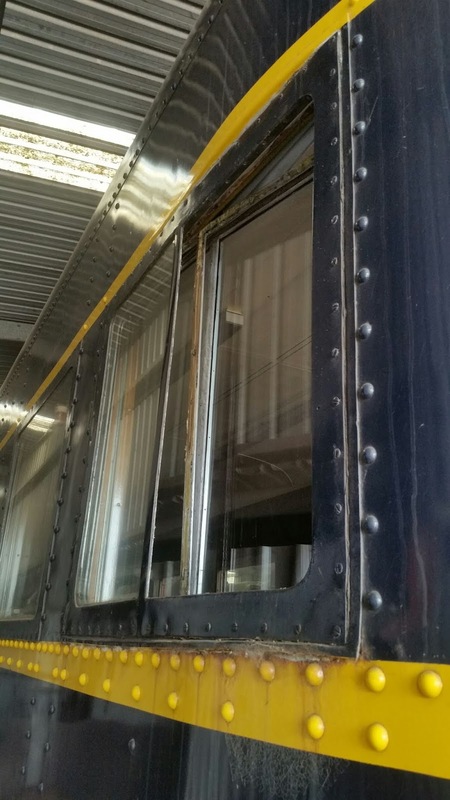 One of the outside panes have been removed here along with the rubber strip. Some of the windows still have the U section rubber that surrounds the edge of the glass whilst others have some form of putty and others some black gooey stuff that may be some type of glass sealant. 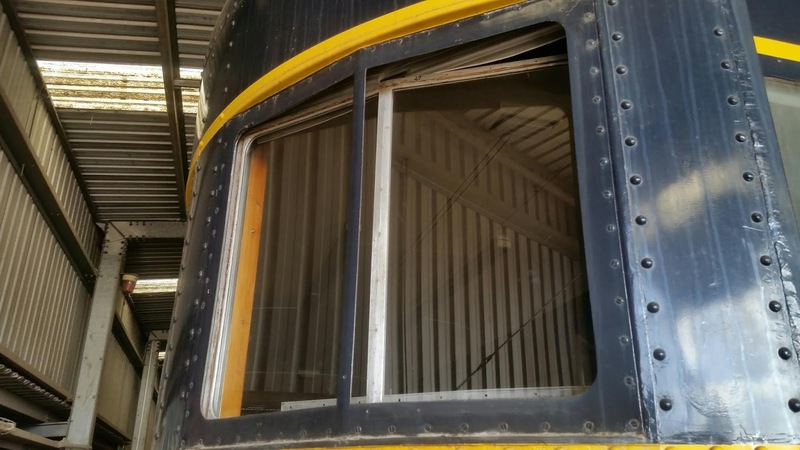 A close up of one of the "curved" windows with the outer glass still intact. This one is broken with tape over the top right hand corner as an interim fix to keep the car in traffic. Now for the external view. Both external panes are out and replacement panes have been ordered. After a bit of experimenting we have found that expanded rubber 8 mm x 8 mm works best to replace the old 6 mm round material. Enough to deal with all windows in the car has been ordered. Next week will see the windows in bits being reassembled and the remaining windows in the car progressively opened and dealt with. The next assembly along the side has cracks in the outer panes. There is no time like the present to deal with all these issues. It is not that much harder to do a few more now rather than come back another time. Back to the P class and new material is being fitted in the lone end nose. A day or so later and it is welded in, ground back as needed and a light dusting of paint has been applied to prevent oxidisation before filling sanding and painting. 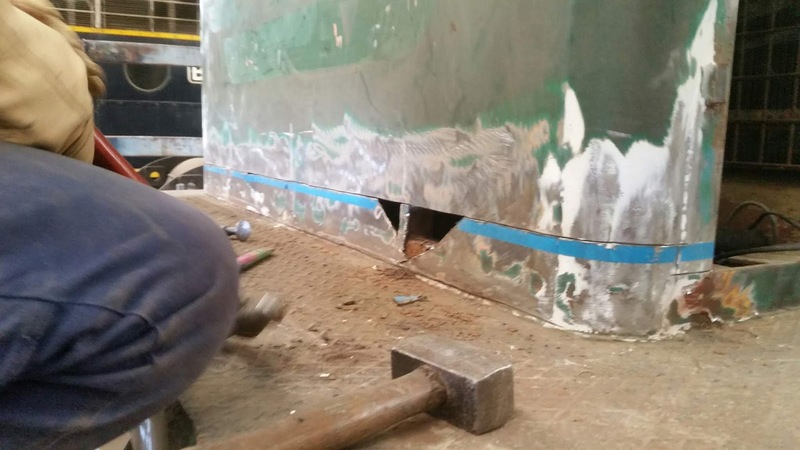 Next day and Robbie has moved around the corner and finished repairs to one of the door pillars on the side of the long hood. There are a couple more to do before the main sanding, filling and sanding prior to painting gets underway. As well as the lower body sides as shown in that last few pictured Robbie has needle gunned the deck plating and primed where he has been. The detail comes up well and always looks better when presented this way. We always seem to come back to bogies eventually. 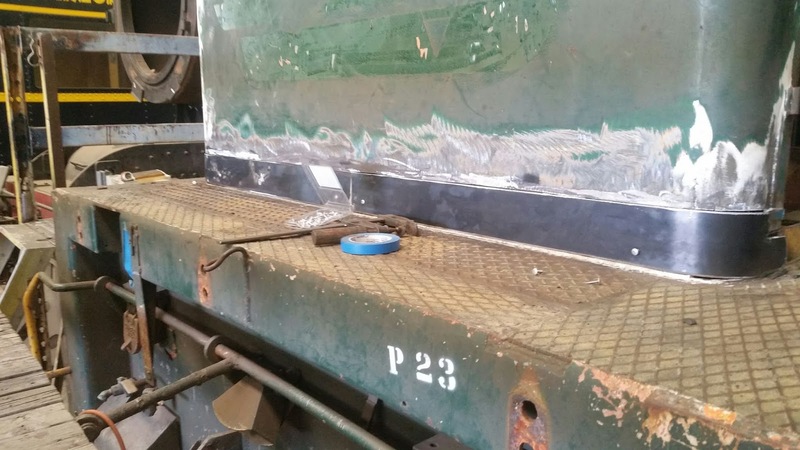 The first of the two Commonwealth bogies for the next gauge conversion has virtually been finished and moved out of the shed to be replaced by the other. 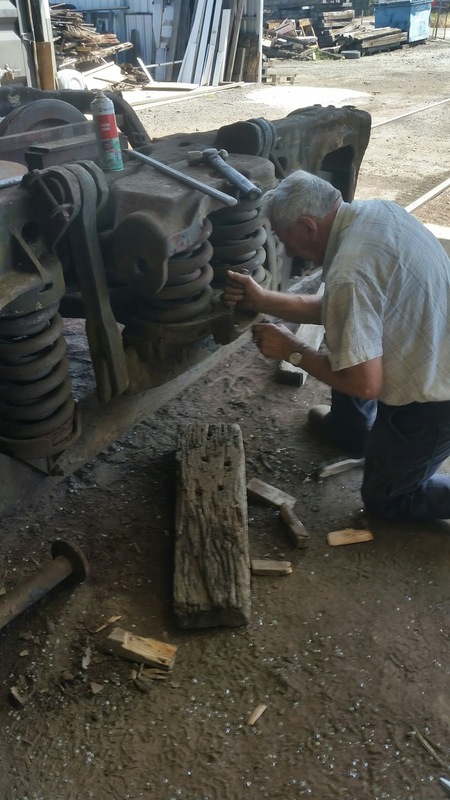 The last task done was the fitting of the brake head balancers. 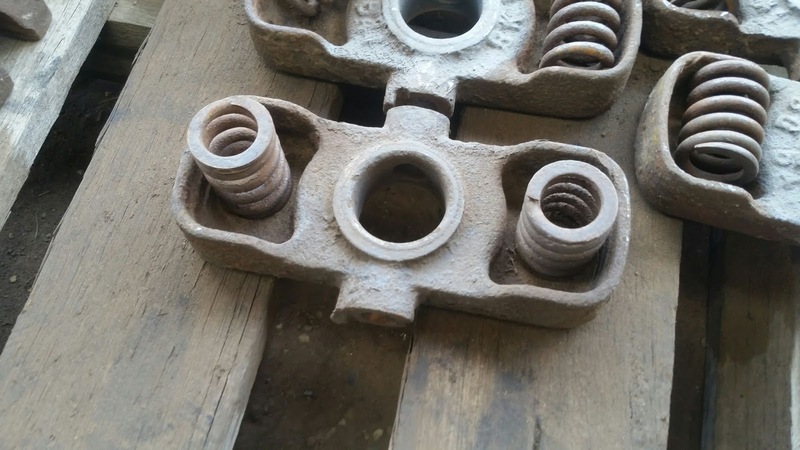 To compress the twin springs behind the balancer we roughed up a clamp arrangement. Although fiddly to assemble it makes compressing the springs and aligning the 3/4 inch retaining bolt a lot less challenging. The last one on the first bogie. 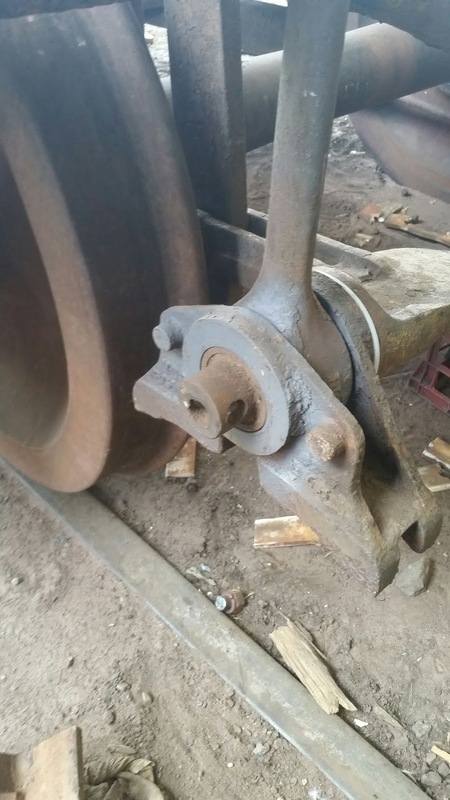 There are two spigots on the side of the brake head (the bit that holds the brake block) to locate the springs and there is a cross hole in the end of the brake beam for the retaining bolt. 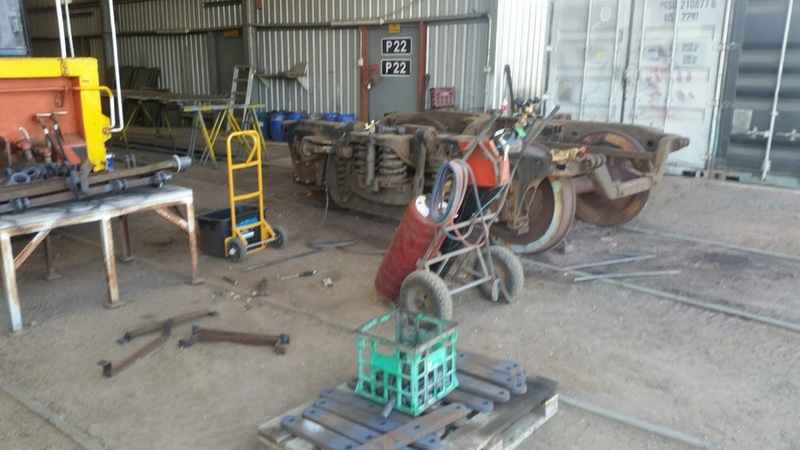 A brake head balancer with the two springs on the pallet. The same day in the back of the shed the President and Secretary have been caught actually working. 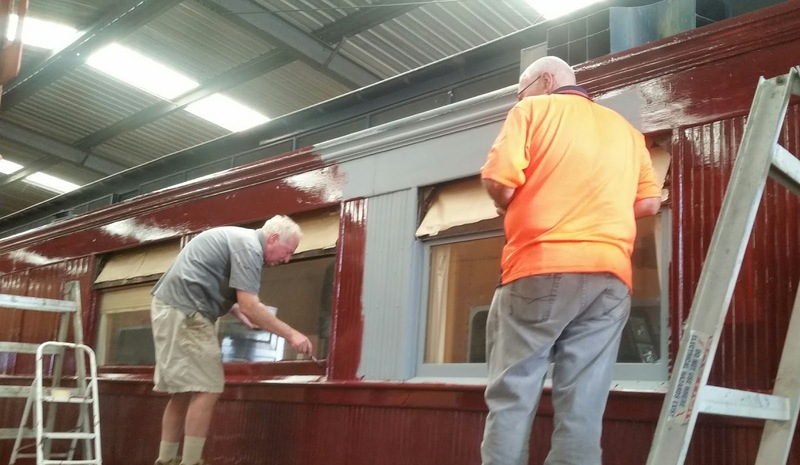 More burgundy paint goes on the first side of 4 State. No one can explain why they stated at opposite end and have finally met in the middle but it probably doesn't matter exactly how, as long as they know how to lay the paint off and get an even and smooth finish. 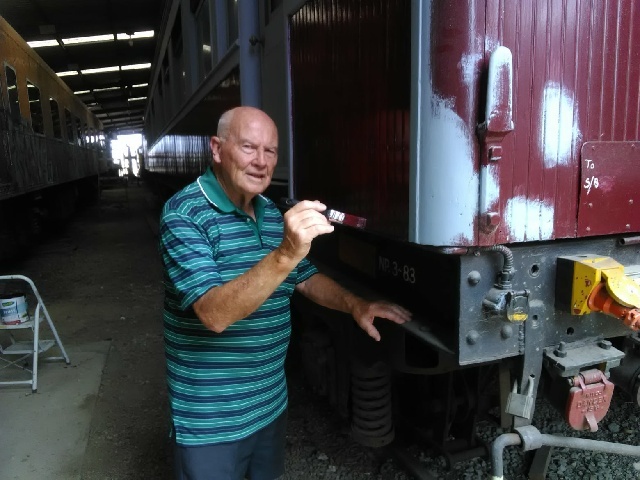 It is now Thursday and John from Benalla is helping out with the second bogie. He is cleaning up the seat area following removal of the shock absorber which is being sent away for overhaul and re-quantification. 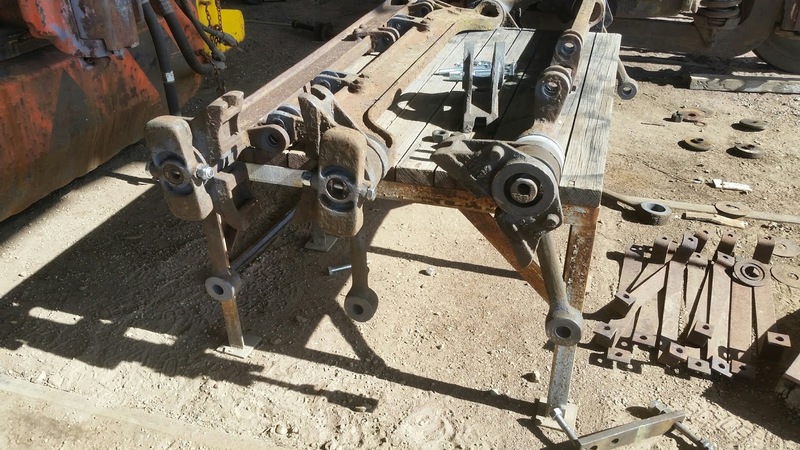 Through experience and lessons learnt, the brake head balancers are being fitted to the brake beams for the second bogie before the rigging is fitted. Two assemblies have been done and more yet to go. A final look at the second bogie. 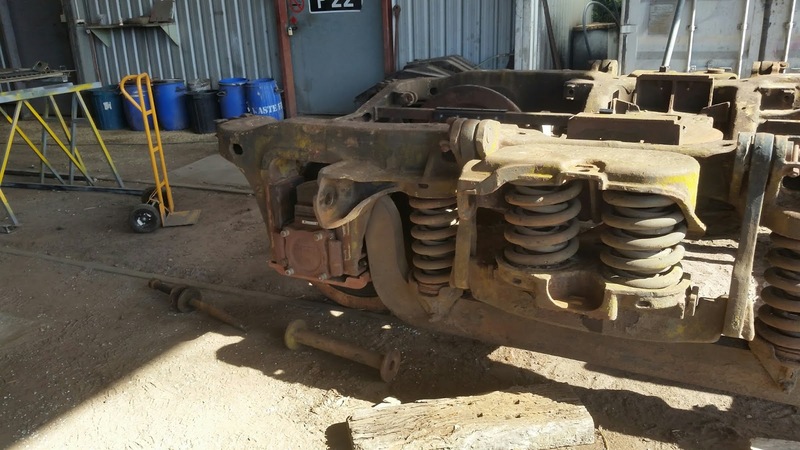 The shock absorber has been removed from between the two central main bolster springs and the bolster anchor that runs horizontally from the bolster to the lug near the axle box has been removed. 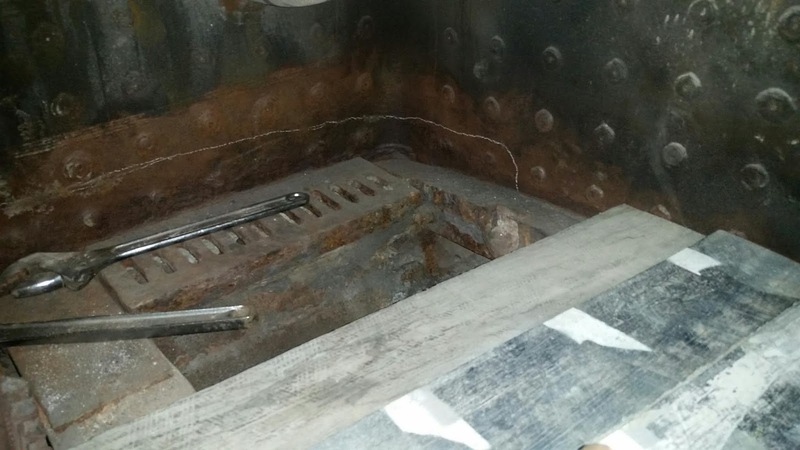 The long bolt that holds the anchor together along with the spacer are on the ground awaiting cleaning and inspection. Assuming all is well, new rubbers with the appropriate steel spacers will be fitted and the anchor reassembled. 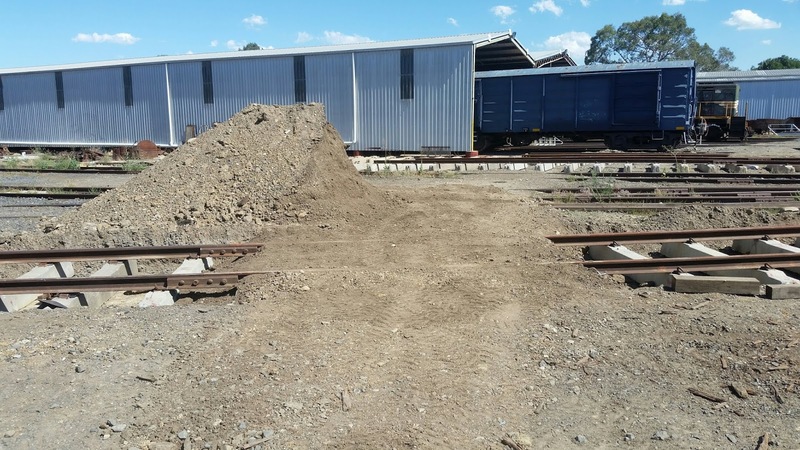 And finally and finally, (at the end we mean) there has been some sorting out of removed sleepers. 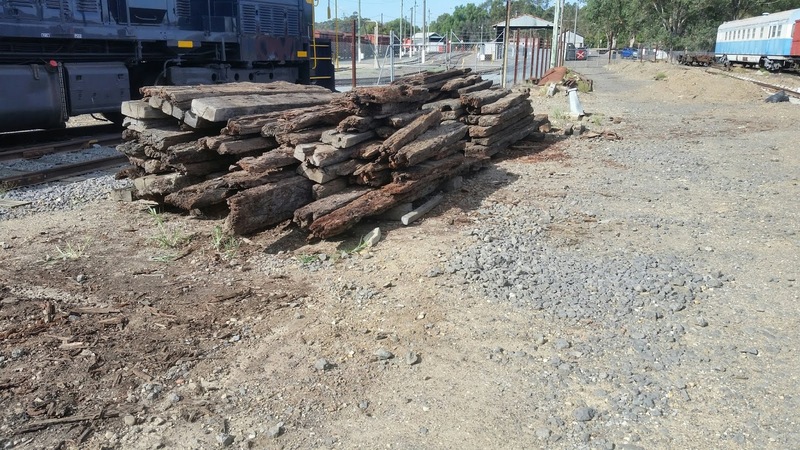 Remaining dog spikes have been extracted and sleepers neatly piled up. Some will be disposed of for garden purposes and the remainder will end up in the fire wood pile. 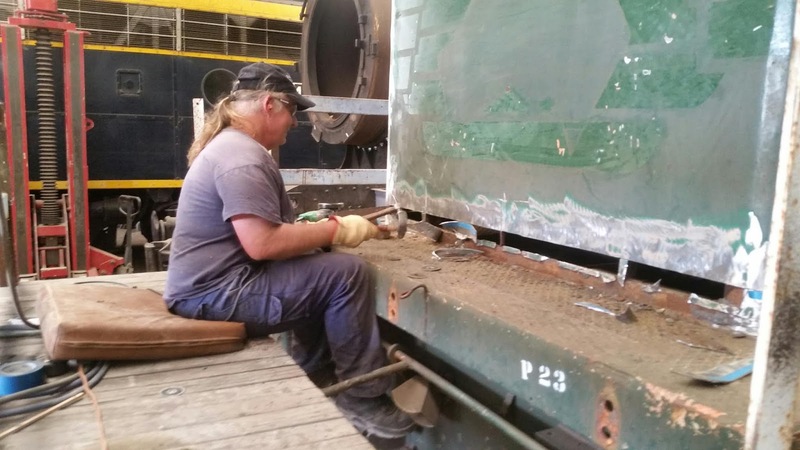 In coming days and weeks Parlor Car will, be finished, the next standard gauge bogies will be completed, P23 will advance somewhat and various carriage electrical matters will be addressed. We are crossing our fingers for cooler weather but in early February that is not all that likely. We will probably just have to sweat it out!